Are you banning nuts from your diet because of their high calorie content? Well, here's some great news for all nut lovers. While it's true that all nuts are an excellent source of healthy fats, which provide satiety and prevent sugar cravings, walnuts are high in omega-3 fatty acids, polyunsaturated fats shown to boost metabolism. So stop feeling guilty and enjoy a handful a day straight from the bag or add to both savory and sweet recipes. love walnuts..we have it always at our table...just hard when our opener got misplaced, I used the garlic presser..hahhah! My mom's friend gave us a bag of fresh walnuts in the shell and at first, I didn't know how to eat them (always bought this packaged ones from supermarkets). After eating the fresh ones which take a bit of work cracking open the shells but they are sooo much tastier than the packaged ones. I love walnuts and almonds so no problem here for me. Great info though about the nutrients aspect. Hello Lady, interest post.I love munching nuts when watching TV. You have a great new year. Stay young, stay healthy and keep a song in your heart. Best regards, Mabuhay, Lee. I think I have to shop more of this since it contains omega 3 and its good for the heart. Thanks for this post. Keep posting! I invite you to have a look at our websites, as it is very well targeted with full of helpful content and I hope it would be useful to your site visitors as well. Please add my links to your site and reply to this mail and i will add your link on my links page & in after I verify them.. I'm a big nut fan, and not because I'm a guy. 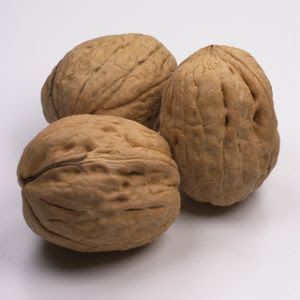 We give our kids walnuts or almonds every morning as part of their breakfast. It's an easy way to get some great nutrition in their body.